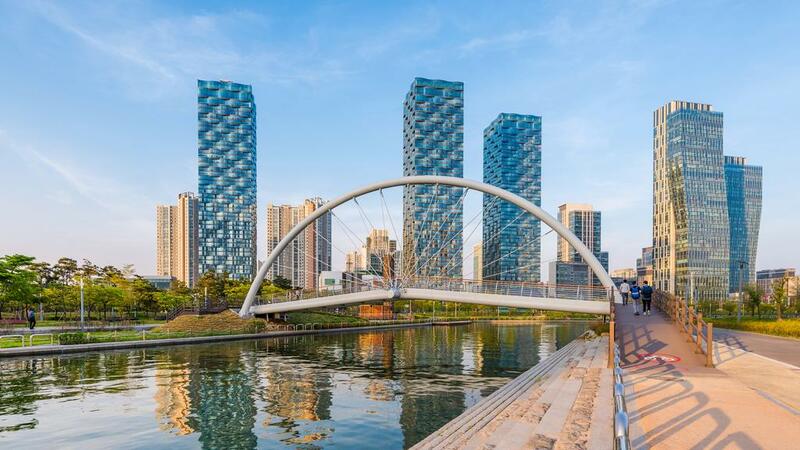 Songdo is the world first ubiquitous city. This private project, developed from 2003 onwards, next to the Incheon airport in Korea, is now specialising into bio industry. Companies like Samsung Bioepsis and Celltrion are already well implemented. In addition, there are 23 large bio organisations and 60 smaller laboratories. This week, the Incheon Free Economic Zone Authority (IFEZA) opened a Global bio hub symposium and announced its plan to develop the bio hub. To support this project, eight academic and research institutions are involved: Yonsei University, Incheon National university, Celltrion, Samsung Biologics, Korea Biotechnology Industry Organization and Utah-Inha DDS & Advanced Therapeutics Research Centre, as well as public authorities, with the Ministry of Trade, Industry and Energy, which promised extensive support to the project. “The global bio industry was worth $32.31 billion in 2014 and is expected to increase to $42.73 billion next year, with annual growth of 5.7 percent. The scale of the global biomedicine market was $17.9 billion dollars in 2014, double the value of the semiconductor market. This shows the high development potential of the global bio industry,” said Kim Jin-yong, commissioner of the IFEZ, in an interview to the Korea JoongAng Daily. Altogether with the LG Group Research centre and the development of the Start-up Alliance, this project displays the will of Korea to create cluster-like environments to boost innovation and competitiveness.